A well-heeled traveler was “eaten alive” by bed bugs during a recent stay at a chic boutique hotel in Paris, the itchy globetrotter told Page Six. Thinking at first that mosquitoes were the culprit, the guest called the front desk and switched rooms for the duration of the vacation. But while on the flight home to the United States it was clear, “I had been eaten alive.” Two doctors later confirmed the bites came from bed bugs over several days, the traveler said. In an email viewed by Page Six, the hotel apologized and told the guest, “We are so sorry for what happened.” The traveler said the charge for the first night of the trip was removed. The hotel didn’t respond to requests for comment. ← What’s the No. 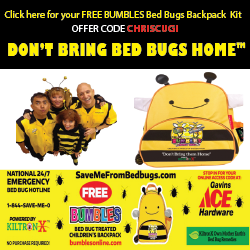 1 spot for bed bugs in your hotel?